The Olympic Games took place recently and James Sullivan was in London for the 9 days of athletics competition. Here he gives his own personal take on the event, from the enormous crowds in the Olympic stadium to the best Irish and international performances. Irony is an Irishman travelling half way around the world to attend the closest thing to a “home Olympics” his country will ever see. For years I have waited with baited breath for the greatest sporting event on Earth to reach the other side of the Irish Sea, yet when this moment arrived it was not a simple Ryanair flight which was merely required, but rather a 17000 kilometre, 30 hour journey from hell. But living in one of the most remote countries on the planet was not going to interfere with my arrangements to spectate at the Games of the 30th Olympiad. Inspired by the ancient Games held for over 1000 years in Olympia, Greece before being ceased in the year 393 AD, this festival of sporting excellence was revived in 1896 and has been held every 4 years since, with the exception of during both the first and second World War. 2012 marked the third occasion the United Kingdom’s capital would host the event and anticipation had never been higher with demand for tickets reaching almost farcical levels. While I certainly intended to sample a few of the 26 sports on show at the Games, the number one priority was to gain access to the Olympic Stadium itself, where the traditional Olympic flame would burn brightly, and where track and field, the blue-riband showpiece of London 2012, would take place in front of 80,000 gazing pairs of eyes. Entry to the stadium proved much more emotionally tiresome than first anticipated and after approximately a dozen attempts over the course of 14 months to secure tickets, I eventually managed to get my hands on a few of these much sought out paper slips, specifically for both the morning and evening sessions of Wednesday 8th August and again for Friday evening, the 10th August. All the rest of the action was viewed from a combination of public houses and big screens, with many a pint of the smooth tasting London Pride to accompany me. Where easier to begin a review of London 2012 than by talking about Usain Bolt. The flamboyant Jamaican has been track and field’s showpiece act over the last four years and by far the biggest draw for casual fans of the sport. An astonishing talent as a youth and junior, “Lightning Bolt”, as he has been nicknamed, announced himself to the mainstream sporting audience and media at the Beijing Olympic Games in 2008 where he won the 100m and 200m, both in world record times of 9.69 and 19.30. A year later at the World Championships in Berlin he bettered both marks, clocking 9.58 and 19.19 respectively. However, notwithstanding a world title over 200m in 2011, many believed that the showman from Jamaica was starting to appear fallible, illustrated in particular by defeat to his countryman Yohan Blake over both distances at this year’s Jamaican trials. However in London Bolt found an extra gear, defending his 100m title in 9.63, the second fastest clocking of all time, ahead of Blake, who claimed the silver medal in 9.75, equaling his personal best in the process, while disgraced former Olympic Champion, American Justin Gatlin edged out compatriot Tyson Gay to take bronze in 9.79. 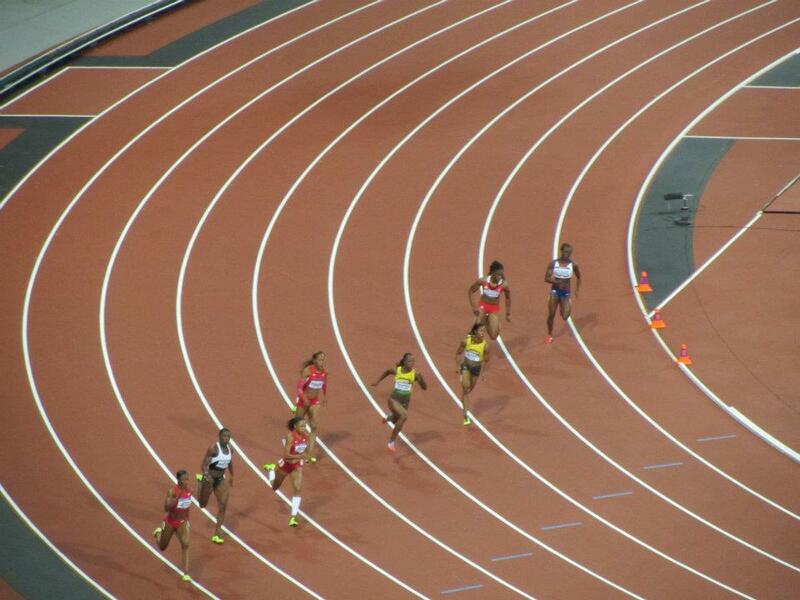 Seven of the eight finalists ran sub 10 seconds in what was unquestionably the quickest race in history. A few days later, Bolt returned to successfully defend his 200m crown, clocking 19.32, again pushing Blake down into silver medal position in 19.44, a victory which was more convincing than the 0.12 margin suggests. Warren Weir completed a Jamaican clean sweep taking the bronze in 19.84. In claiming double gold, Bolt became the first athlete in history to win both the 100m and 200m in consecutive Olympics. It remains to be seen whether he will defend his titles at the next Games in Rio de Janeiro or instead take on new challenges in the sport. Whatever he decides the cameras will not be far away and the charismatic sprinter will be lapping it all up. We wouldn’t want it any other way! Usain Bolt may have received the vast majority of media’s plaudits throughout London 2012, but arguably the performance of the Games came from David Rudisha. The Kenyan 800m runner has been virtually unbeatable over the last two years, breaking the long standing 2-lap record held by Denmark’s Wilson Kipketer, not once, but twice in 2010 and claiming World Championship gold in Daegu last year. The 23 year old entered London as possibly the most overwhelming favourite in all of track and field, and he did not disappoint, leading from the gun to claim gold in a staggering world record time of 1:40.91, becoming the first man in history to dip below 1:41. What made this performance all the more remarkable is that it was achieved without the aid of a pacemaker. In this day and age, in events from 800m and up, a world record being set during a major championship is completely unheard of. It does not bear thinking what this man may run over the coming year in a properly paced Diamond League race, with many believing that he is destined to break the 1:40 barrier. It is also worth noting that all 8 men in the Olympic final ran sub 1:44, with the eight placed runner, Great Britain’s Andrew Osagie, clocking a time which would have won gold at the previous three Olympics. However, the record breaking performances of the other seven men will be merely a footnote to David Rudisha in Olympic history. Some personal highlights of mine centered around the women’s 100m Hurdles and women’s 200m, with two of the sport’s greatest ambassadors, Sally Pearson and Allyson Felix, finally claiming the Olympic gold that their dominance over recent years deserved. Pearson, who ran the fourth fastest time in history (12.28) last year when claiming World Championship gold has been almost unbeatable over the last two years and entered London as the clear favourite to claim the one title that eluded her. However, the Australian had to battle all the way to the line, edging defending champion Dawn Harper of the USA by just 0.02 seconds with an Olympic record time of 12.35 in unfavourable conditions. With the pressure of the Olympics now off her shoulders, few would bet against the Queenslander breaking the long standing world record next year. Allyson Felix, on the other hand, was much more comfortable in claiming gold in the women’s 200m, an event I had the privilege of viewing from inside the Olympic Stadium. The three time world champion over 200m clocked 21.88 to easily beat the 100m champion, Shelly-Ann Fraser-Pryce, into second place (22.09), with Carmelita Jeter taking the bronze (22.14). The 26 year old American was one of the biggest winners of the Games claiming 3 gold in total (200m, 4x100m, 4x400m) and finishing 5th in the 100m final for good measure. The host nation Great Britain had a successful Olympics, winning six athletics medals in total, including four gold. However, it was the evening of Saturday 4th August which provided perhaps the greatest night in British sporting history. In the space of 90 minutes, the host nation won not one, not two, but three gold medals in front of an elated and patriotic home crowd inside the Olympic Stadium. Jessica Ennis began the festivities with a dominant victory in the heptathlon. The glamourous Sheffield athlete set a new British record of 6955 points, a performance which lifts her to number 5 on the world all-time list. Next up was Greg Rutherford, who took the spoils in the men’s long jump with a leap of 8.31m, defeating silver medalist Australian Mitchell Watt by 15cm in what was a disappointing competition, with too many sub-standard performances. Mo Farah completed a famous hat-trick with gold in the men’s 10000m, demolishing the best East Africa could throw at him with a devastating 53 second last lap, with his training partner, Galen Rupp of the USA, claiming an excellent second place. Farah went on to complete a historic double one week later, taking 5000m gold and becoming only the 7th man in history to win Olympic gold in both events at the same Games, joining Hannes Kolehmainen, Emil Zatopek, Lasse Viren (twice), Vladimir Kuts, Mirutz Yifter and Kenenisa Bekele among the pantheon of Olympic legends. Other memorable moments included the men’s 400m, where Kirani James became the first non-American to break the 44 second barrier en route to winning Grenada’s first ever Olympic gold medal; the women’s 400m, where Sanya Richards-Ross of the USA edged out defending champion and home favourite Christine Ohuruogu; the men’s 400m Hurdles, where 34 year old Felix Sanchez from the Dominican Republic rolled back the clock, reclaiming the title he won 8 years ago in Athens; the women’s 100m which saw the top five athletes break 10.90 seconds, with Jamaican Shelly-Ann Fraser-Pryce defending her Olympic title with a sensational 10.75; the men’s high jump, where the eccentric Russian Ivan Ukhov leapt 2.38m to easily win his first major outdoor title; and the men’s 3000m Steeplechase, which saw Kenyan Ezekiel Kemboi unconventionally cross the finish line in lane 8 to win his second Olympic gold medal. While London 2012 was filled with many unforgettable moments, there were nonetheless a few uglier instances which leave a bitter taste in the mouth. Many long term followers of the sport could say with a reasonable degree of confidence that these Games have been the cleanest in a long time, as anti-doping procedures are getting more stringent by the year. However, as always, there will be those who slip through the net, those who succumb to the temptation to take a short cut. 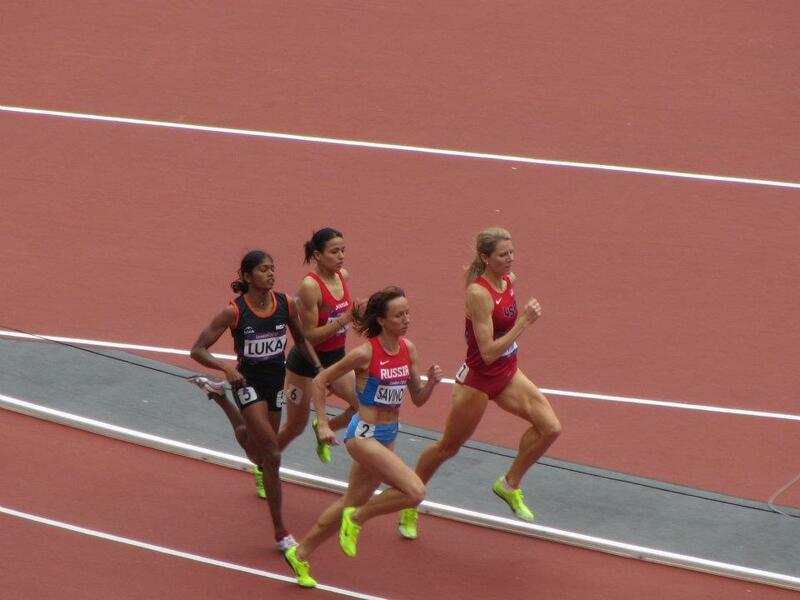 A particular sad sight was seeing Turkey claim both gold and silver in the women’s 1500m, with Asli Cakir Alptekin taking victory, while her compatriot Gamze Bulut followed closely in second place. Cakir is a convicted drug cheat, banned from competition for two years in 2004 and this year she has run a staggering 3:56, making an eye-opening 6 second improvement on her pre-2012 PB. Bulut, although very young at just 20 years of age, has made an astonishing 17 second gain in the last 12 months. What makes the performances all the more suspect is the sad fact that, as a nation, Turkey has an appalling history with regards doping, to the degree that it is very difficult for them to be taken seriously anymore. I’d like to think that these two ladies have now fulfilled WADA’s criteria for future target testing! From an Irish perspective the unquestionable highlight of London 2012 was Rob Heffernan’s performance in the men’s 50k Walk. The Togher athlete has been a very reliable championship performer over the years, finishing 6th at the 2007 World Championships over 20k, 8th at the Beijing Olympics at the same distance, and 4th in both race walking events at the 2010 European Championships. After finishing 9th in the 20k at these Games, in what was effectively used as preparation for the 50k, Heffernan turned his attention to his main event, which took place 7 days later in front of huge galleries of supporters along the Mall and Buckingham Palace. Cheered on by remarkable Irish support and numerous renditions of the Fields of Athenry, the Corkman paced himself perfectly, electing not to go with the early leaders, and over the closing stages picked off tiring athletes in front of him one by one. Heffernan eventually finished in 4th place in a sensational time of 3:37:54, knocking 7:36 off his old Irish record, and was just 38 seconds behind bronze medalist Si Tianfeng of China. This clocking puts him up to 15th on the world all-time list, and would have been good enough for silver in Beijing and gold at every other previous Olympic Games. While he is no doubt disappointed not to come away with a medal, one gets the feeling that his time will come in Moscow next year at the World Championships. 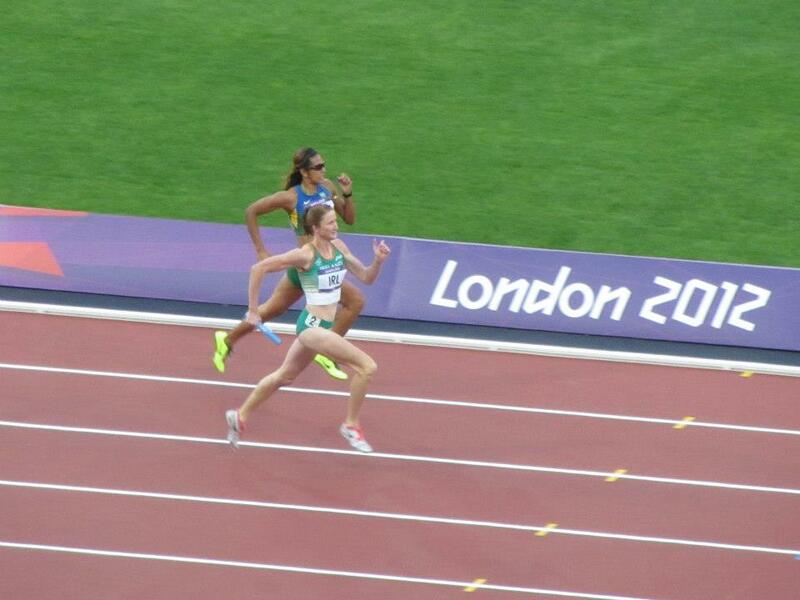 There were a few other encouraging Irish performances in London, namely from Laura Reynolds in the 20k Walk. The 23 year old recorded a personal best of 1:31:02 to finish in a highly respectable 20th place in her first major global championship. Given the nature of the event, and the fact that race walkers often don’t reach their peak until their mid 30s, there is no doubt that Reynolds has a bright future in the sport ahead of her. Other athletes who recorded personal bests during the Games were Brendan Boyce in the men’s 50k Walk and Fionnuala Britton in the women’s 5000m. 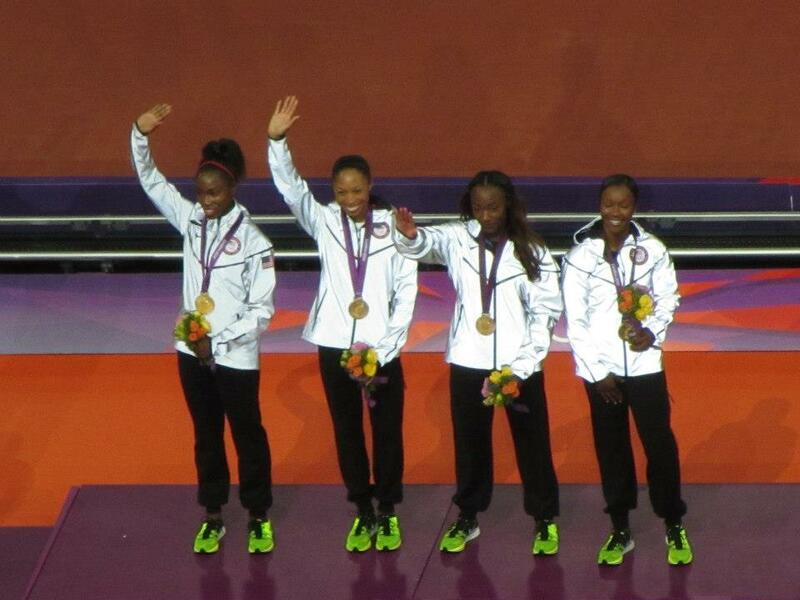 The Irish women’s 4x400m team are also worthy of mention as they finished in a credible 13th place. While they were 3 seconds off the national record they set at the World Championships last year, this is nonetheless an impressive achievement given Ireland’s population in comparison to the other competing nations. However, while there is no questioning the passionate efforts of each and every member, there can be no getting away from the fact that the performance of the Irish athletics team as a whole was disappointing. This is not because of the fact that we won no medals, as athletics is the most global and fiercely competitive sport in the Olympic Games, where gold, silver and bronze is very much at a premium for many small countries, but rather because many of the athletes themselves fell depressingly short of their own standards. Paul Hession failed to qualify from his heat of the 200m; Ciaran O’Lionaird trailed home second from the rear in his 1500m heat, evidently far from fully fit, in a time he could have run as a junior; Alistair Cragg never looked like making an impact finishing a dreadful 17th in his heat of the 5000m; Joanne Cuddihy did reach the semi-finals of the 400m and finished 16th overall, but her 51.88 was almost half a second down on her season’s best recorded in Japan back in April; an injured Catriona Jennings trailed home last in the women’s marathon, in a time slower than many average female club runners; Deirdre Ryan could only manage 1.85m in the high jump, well off the magnificent 1.95m she leaped last year en route to 6th at the World Championships; while pole vaulter Tori Pena, who has an impressive PB of 4.52m, dismally failed all 3 attempts at the opening height of 4.10m. Even Ireland’s reliable championship performer Derval O’Rourke was well off her best in the 100m Hurdles. While she did reach the semi-finals, and twice ran a season’s best of 12.91, this was well below her personal best of 12.65 and the high standards she has set over the past few years. What makes this all the more frustrating is the fact that three seriously talented young athletes on B-Standards, who were in form, and have recent championship pedigree, were not selected to compete in London. Mark English, aged just 19, finished 5th in the 800m at this year’s World Junior Championships, with the gold and silver medalists ahead of him making the podium in London, Brian Gregan, aged 22, has lowered his PB significantly this year and almost medaled in the 400m at the European Championships in Helsinki in June, while Jessie Barr, aged 23, has done likewise, finishing in 8th place over 400m Hurdles at the Europeans. 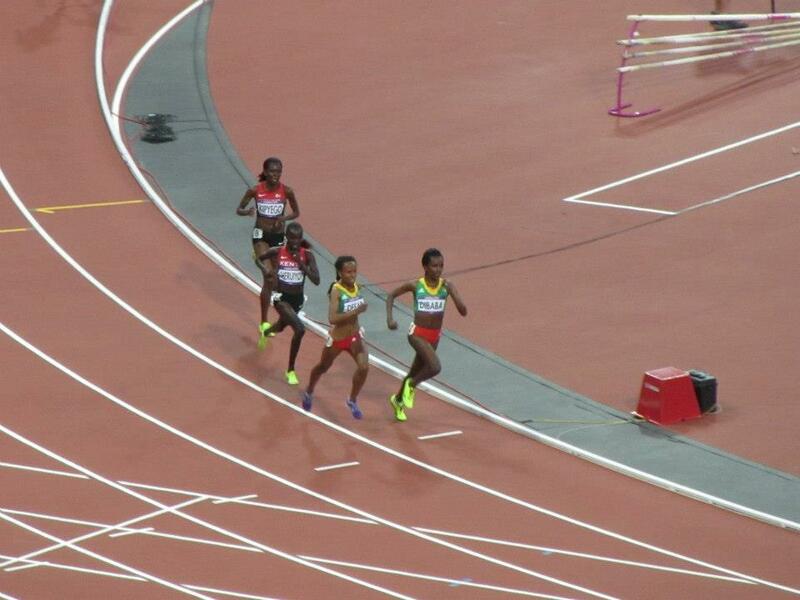 The OCI’s lack of foresight, logic and ability to see anything other than black and white meant that only athletes with A-Standards were selected to compete, resulting in English and Gregan being left at home, while Barr was ludicrously left up in the stands of the Olympic Stadium, as she was in London for the 4x400m relay anyway, thus robbing these great prospects of valuable Olympic experience ahead of the next Games in Rio de Janeiro. I’ve no doubt that all three of the mentioned athletes above would have made the semi-finals of their respective events in London, and had common sense prevailed, we’d be looking at Irish athletics right now from a completely different viewpoint, full of positivity for what lies ahead over the coming years. The attendances at the athletics events at London 2012 were nothing short of outstanding. What was particularly heartwarming was the huge numbers of supporters lining the streets of London for the marathon and race-walking events. I have never seen such attendance levels for a race walking event before. It is hard to make an accurate estimate of how many people were along the Mall and Buckingham Palace for the men’s 50k, but an approximation of over 100,000 would not be very farfetched at all, and the atmosphere was among the most memorable of all sporting events I have attended over the years. For every single track and field session, whether morning or evening, the stadium was packed to the rafters. I was in complete shock to see such high attendances for the morning sessions, where usually athletes are competing in front of an almost empty stadium. I thought Daegu was impressive last year with the crowds that attended the heats in the morning, but London has taken this to a whole new level. It must have been an incredible kick for lesser ranked athletes, those who got eliminated in the heats, to compete in front of 80,000 people, something which most certainly did not happen during the Sydney, Athens or Beijing Olympics. The support was excellent from the British public, particularly for those athletes who wore the GB vest. While many of the spectators inside the stadium were not particularly knowledgeable about the sport, this was not an issue, and no doubt some of the people in attendance will be inspired to get involved in the sport in the future. One minor complaint I would have however is that no effort was made to ensure that people involved in the sport on a regular basis gained access to the stadium. A fair solution would have been to guarantee 10% of all tickets to UK athletics clubs, instead of putting the tickets on public sale as a complete chaotic free-for-all. However, to find complaints you’d need to really go searching for problems. The truth is that London 2012 provided a truly unforgettable 9 days of athletics competition, which will no doubt leave a lasting legacy in the UK, and British athletics will reap the rewards of this in years to come. There has never been a better supported Olympic Games, and we may never see the likes of it again. London, take a bow.